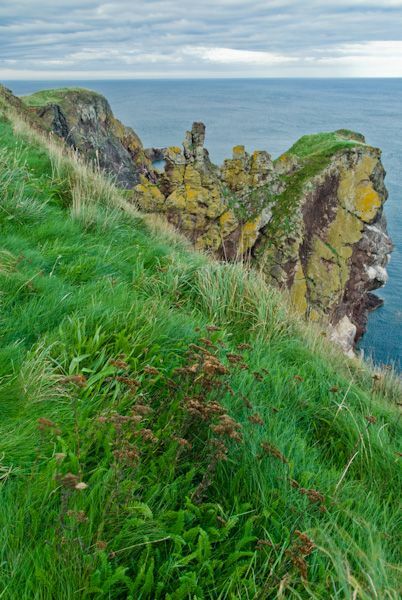 300 ft high cliffs at St Abbs Head are home to colonies of birds that nest on the ledges from April to August. St Abbs is a National Nature Reserve, in the care of the National Trust for Scotland. 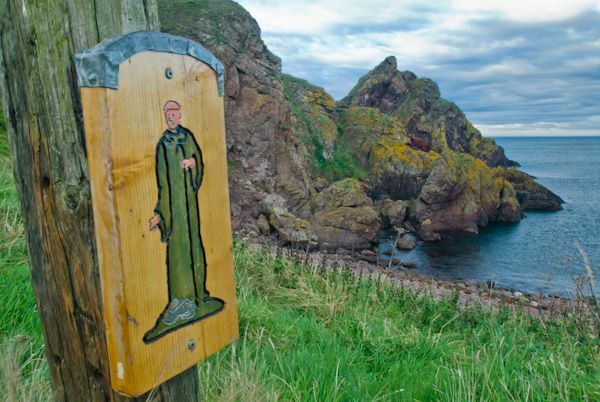 There are footpaths along the cliffs from the edge of St Abbs village and you can take a circular walk that takes in the site of a ruined medieval nunnery established by St Aebba, after whom the village is named. There is a parking area outside St Abbs village, with signed paths along the clifftops. At the highest point on the cliffs is a historic lighthouse. The best time of the year to visit if you are interested in bird watching is from May-August when the cliffs are almost overwhelmed by thousands of guillemots, kittiwakes, razorbills, shags, fulmars, puffins and herring gulls. The visitor centre (between Coldingham and St Abbs village) is open 1 Apr to 31 Oct, daily 10-5 as of this writing. There are regular ranger-guided walks from the visitor centre, but there are also clearly marked trails along the cliffs, including a circular walk that takes in the ruined nunnery on the cliffs, the lighthouse, and freshwater Coldingham Loch. The footpaths start from just outside St Abbs village, east of the visitor centre, off the B6438, before you reach St Abbs church. 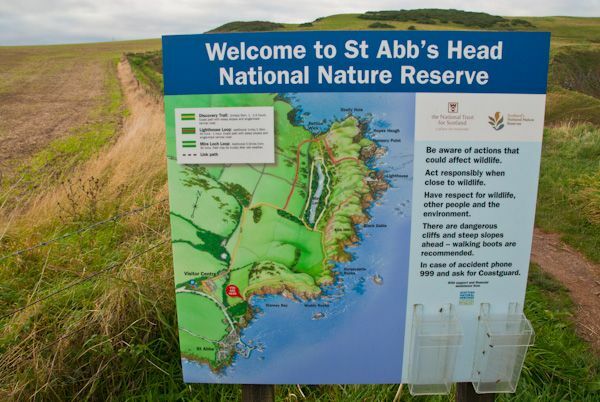 We've had the pleasure of visiting the national nature reserve at St Abbs twice - both times in good weather it must be said! 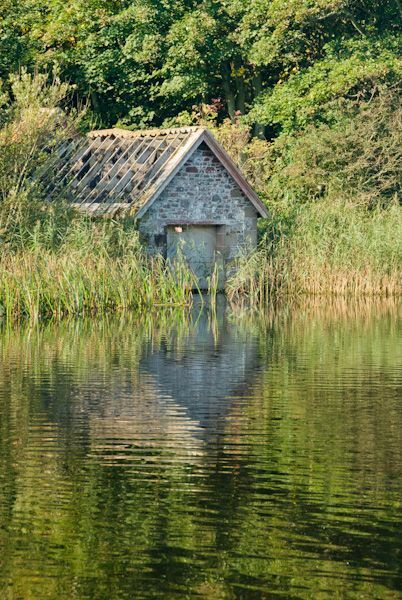 The scenery is simply stunning, and yet there are few visitors even in the height of summer. 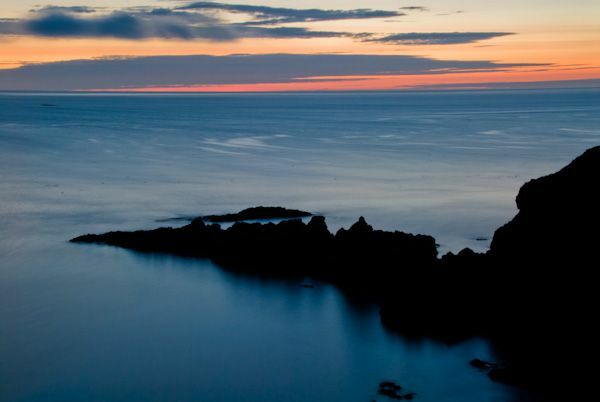 The trails along the cliffs offer marvellous views south to Eyemouth and north towards Dunbar. 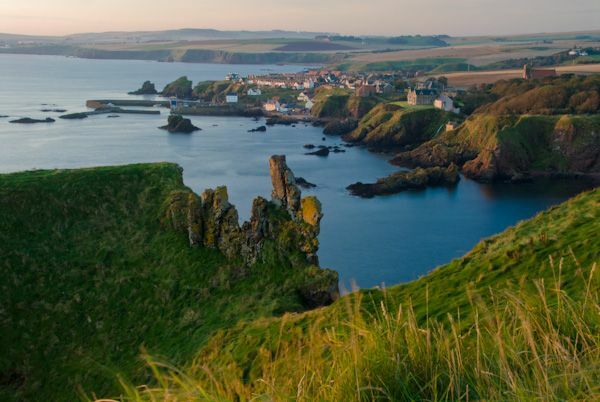 Take the time to explore the beautifully picturesque harbour of St Abbs when you are done, and the ruins of the medieval monastery at Coldingham. The paths are well signposted and there are information signs along the trails. 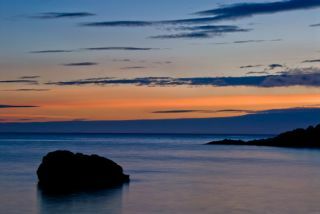 Location: Off the A1107, 2 miles north of Coldingham. Follow signs from Coldingham and park in the reserved parking area - NOT in St Abbs village. 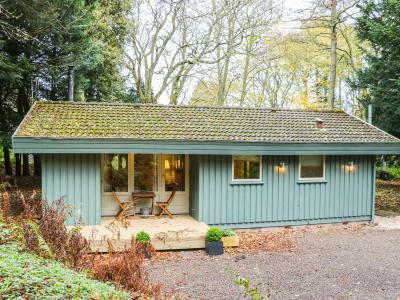 A wooden cabin near the village of Coldingham in the Scottish Borders, it can sleep four people in two bedrooms.